Maybe it is the -0 temps we are supposed to be getting this week that has me thinking of warmer weather or getting out of town. 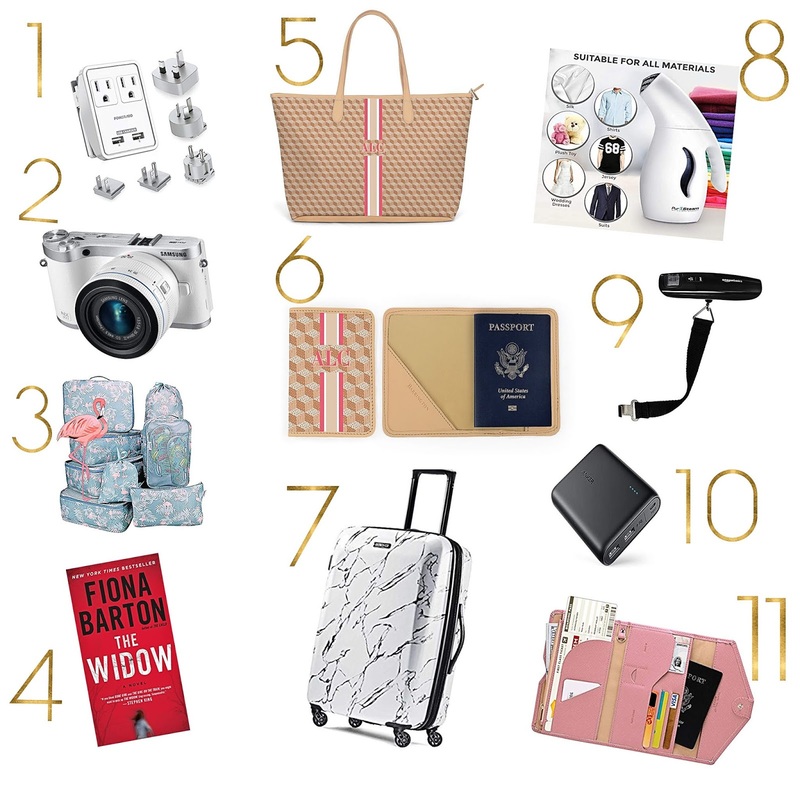 I thought it would be the perfect time to share some of my favorite travel items! 1. Travel Charger- I bought this before going to France a few years ago and it has been quite useful. It comes with multiple foreign converter plugs, but can also be used in any outlet. I know when I travel I am always looking for outlets to charge all my electronics and this comes with multiple ports. 2. Samsung Camera- I prefer to travel or use this camera day to day than my DSLR. This little camera takes a great picture and can easily be thrown in my purse. It has changeable lenses and can be used in manual setting. With built-in wifi I am also able to upload my photos to my phone at the end of the day to edit and share. 3. Packing Cubes- These have changed the way I pack. I use a different cube for each category of clothing I am pack. 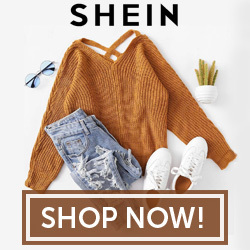 When I am looking for clothes to wear I can easily find what I am looking for because they stay folded and organized in their cube. It also keeps everything from falling all over when I open and close the suitcase. 4. The Widow- Now that the girls entertain themselves during travel I love to catch up on reading. I usually bring quite a few books with me for downtime. I recently picked this book up to read and if you like a book that keeps you guessing this is a good book. It tells the story from a few different character's point of view, which allows you to see what everyone is thinking and keeps you guessing. The story was disturbing, but kept me from wanting to put it down till the end. I am currently reading The Child, which is another book by the same author that also uses one of the characters from The Widow. 5. Tote- I received this tote as a gift and love it. I was using more expensive, similar sized totes to travel and they were getting destroyed. This bag has a zipper closure, which I prefer when I travel. I like to keep my bag closed so it doesn't spill out all over the airplane floor, etc. It is the perfect size to throw a ton in. This company allows you to personalize the bag with multiple different pattern choices and trims to chose from. I even have mine monogrammed. It still looks new after using it all last summer and traveling with it. 6. Passport Case- The retailer that sells the tote also sells accessories. I have one of their passport cases to keep my passport protected when I am traveling. I love that it can be personalized to match the tote. 7. Marble Suitcase- Last year when I came back from California the airline destroyed my suitcase. It was no longer rectangular and had holes in it. I couldn't even roll it to the car. I decided to replace it with this suitcase after looking at a ton. I had always used soft case suitcases, but was looking for something that might be more durable. This case so far has stood up to my expectations. I like the marble texture because it doesn't show the dirt from travel as much either. 8. Travel Steamer- This is a must now for me. After waiting in line to use an iron on a cruise I will never travel without this little thing anymore. It saves so much time and makes things so much easier. I no longer have to stand in lines to use irons or worry about what else was ironed before my item. The kids and I now have nice wrinkle free clothes without a headache. 9. Luggage Scale- Another must! My sister stood in the check-in line at the airport weighing and moving things around in her luggage so it wasn't overweight. Everyone in line was asking where I got the scale. It is one of those items you don't realize how useful it is until you own one. I always check my luggage before leaving for the airport to make sure it is under weight and if it isn't I move stuff between the suitcases. It also makes a great gift for a traveler! 10. Power bank- I keep this in my purse day to day, but definitely make sure it is ready to go when I travel. You never know when you will be stuck in an airport or delayed and need to charge your electronics. I also like to keep it in my bag in case my camera battery starts to get low to give it a quick charge. 11. Travel Wallet- I featured this wallet in another blog post already once, but since it is actually a travel wallet it had to make the list. I love this wallet. It is reasonably priced and perfect for travel. It has spots for everything you would need to have with you, keeping things organized. It comes in tons of colors and I picked one to match the stripe on my tote. Hopefully, this list will come in handy if these are things you haven't thought to pack or are looking to make travel easier. I will be dreaming of my next vacation while we get snowed on in the -0 temps this week!